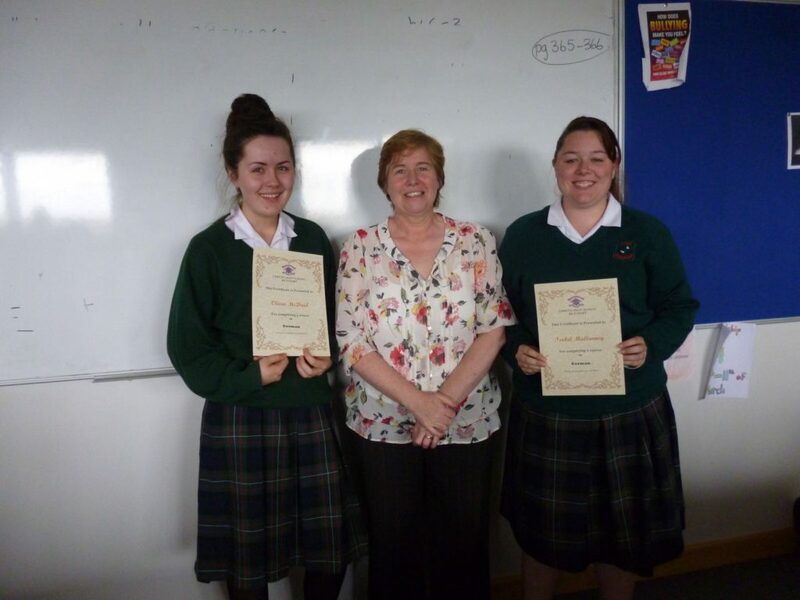 Congratulations to all the 5th years on a great years work. 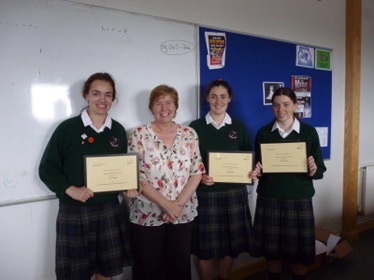 A special mention to Laura Nagle, Kate Coghlan and Eimear Butler who received a certificate for outstanding performance in their Junior Certificate Business Studies exam. 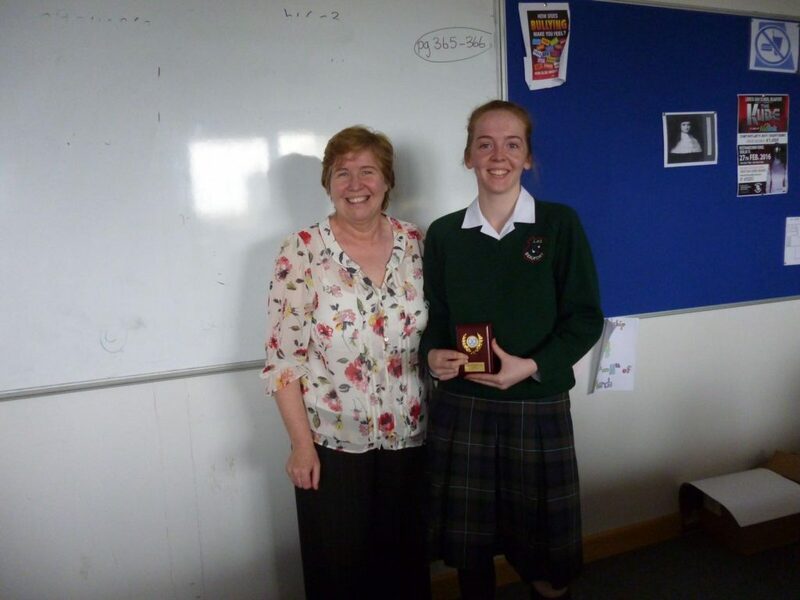 Also well done to Oliva McDaid and Isabel Mullarney who completed a German course during 5th year.Congratulations to Kathryn MacRedmond Senior Goalie of the Year.